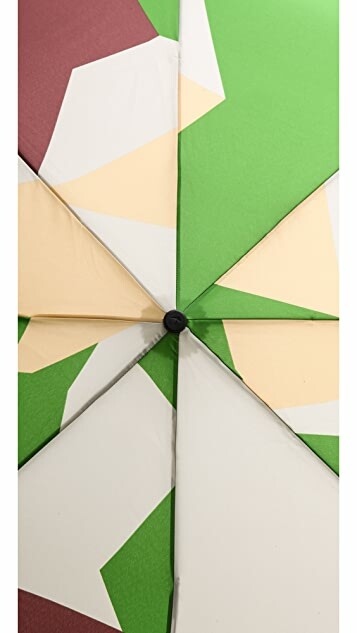 This lightweight Senz umbrella has a modern, geometric print. Designed to withstand winds of up to 50 miles per hour. A push button releases the telescopic shaft. 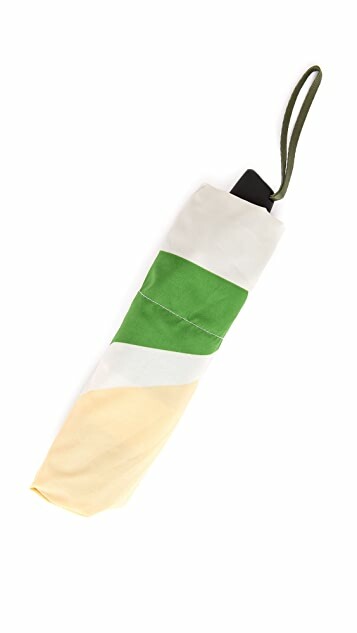 Rubberized handle and wristlet strap. Sleeve included.